Audio Book version of the book. Delivery is via link to download the files. Files are in Mp3 format. Delivery is via a link to download the files , which will be sent to you once purchase is made. Files are in Mp3 format. The audio files are in Mp3 format. 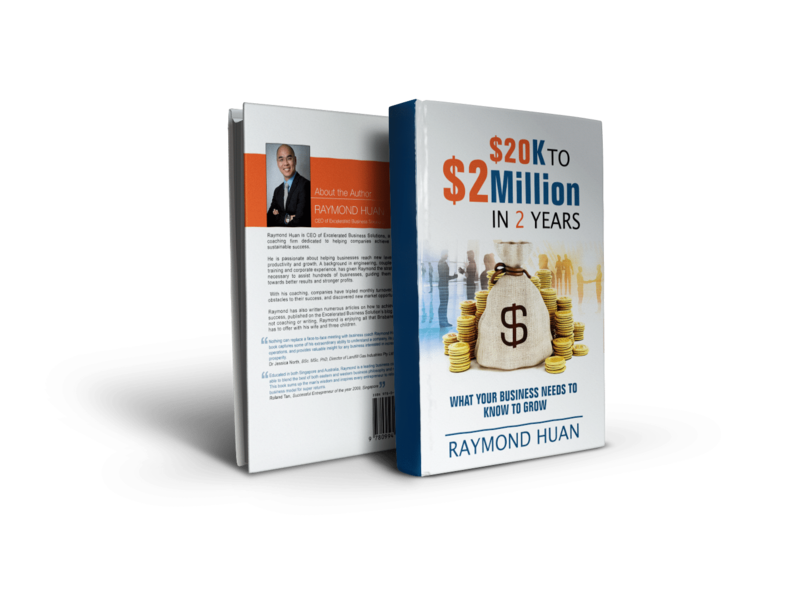 You will also get access to over 40 mins of videos that build on the exercises of the book, valued at $249 for FREE! 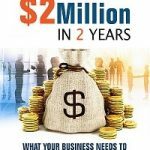 The audio version of $20K to $2 million in 2 years has been created using a professional voice artist. This means you can listen to it at your leisure – at home, in the car, or when taking a walk. The high recording quality makes listening a pleasurable process – there’s no unpleasant, scratchy vocals or poor audio to endure! 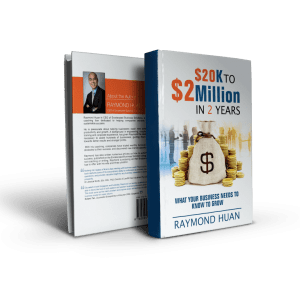 Once you complete the purchase, a zip file containing the MP3 audio files of the book will be made available for you to download. We have a 30 day money back guarantee. 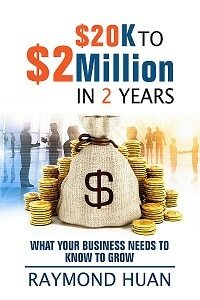 If you do not think that the book has given you insight into how to grow your business, simply email me at info@excelbizsolutions.com.au and you will be brought through the process of getting a refund. Please refer to our FAQ section for more information on this. 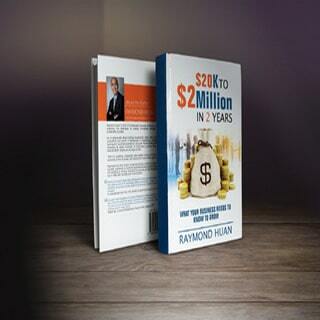 Raymond is a successful business coach and consultant who has helped companies achieve growth for over 10 years. He's worked with companies of various sizes and industries across Australia, New Zealand and Singapore, as well as organisations whose footprint spans across multiple countries. 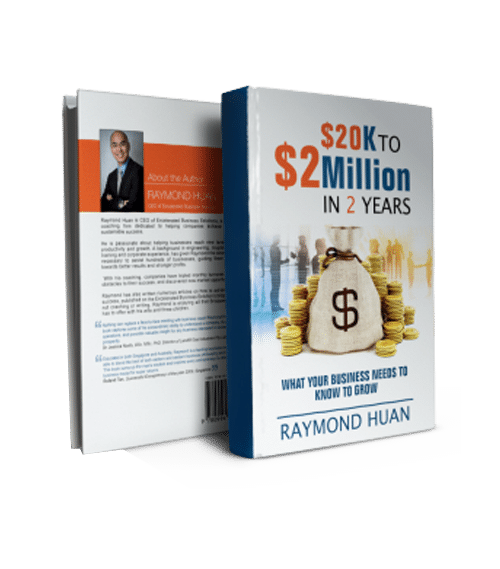 In his book $20K to $2 Million in 2 years , Raymond shares valuable insight of companies that he's coached who have achieved sustained growth of over 50% each year for over three years in a row. 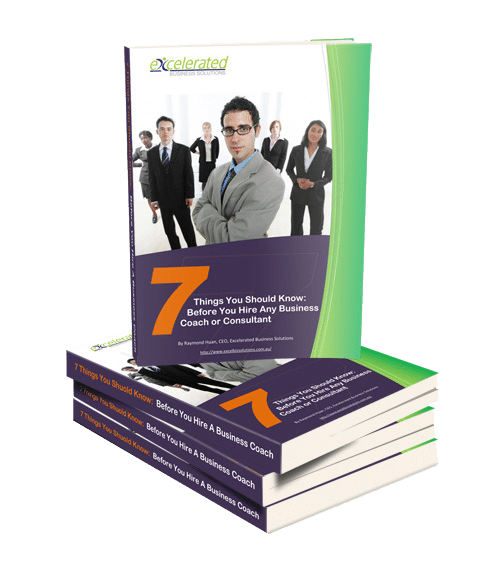 Read more about his valuable insight in other posts on the Excelerated Business Solutions Blog or follow him on Twitter.